We regard caring for our residents a privilege. Hear from families we’ve had the honor in serving. And since quality service is not possible without a compassionate, committed staff, see why our co-workers enjoy caring for our residents (and why our residents enjoy them) and then “meet” some of our stars in our Co-worker Spotlight. For over 50 years, the Leader family has been caring for seniors and their families. From these exchanges, we have gained much experience in guiding residents and families in starting the conversation about moving to a retirement community, finding financial resources available for seniors unbeknownst to them, coping with caregiving and memory loss, and more. Learn more here. How lucky are we to spend our days with such remarkable people? Whether through their experiences in vocations, achievements, hobbies, advice, faith, love or laughter, our residents still have much to contribute. 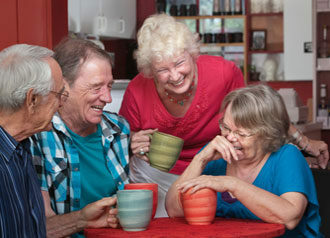 Click here to enjoy “meeting” these residents through their stories and be prepared to be inspired. We’re humbled by the industry and community recognition and praise we have received. It affirms we’re exceeding expectations and inspires us to keep excelling. Click here for a list of our honors. We also keep good company by associating ourselves with like-minded organizations who prioritize seniors’ well-being, customer service and good business practices in their mission and practices too.